Now a days, having a baby is so expensive. I recently just had twins, and also have two other toddlers under the age of 4. Trust me, I know all about how much it costs to have kids. They are absolutely worth it, but still….expensive! However, buying maternity clothing was always my least favorite thing to do when I was pregnant. I love dressing up my bump (see some maternity outfit ideas here) , but I refused to pay a bunch on maternity clothing. This was especially true in my last pregnancy with our twins, because I knew it would be my last pregnancy. That’s why I wanted to share the best place to maternity clothes with you mamas. If you’re a mama-to-be that still loves her style, I highly recommend ASOS for maternity clothes. They’re not only gorgeous pieces, but very versatile and well-priced for the quality. Target has always been my go-to for maternity clothing, because it is much cheaper than other maternity-specific stores and they have items that you can reuse. I also love that a lot of their maternity items don’t look like your typical mama-to-be pieces, so they are easy to transition into postpartum bodies as well. These are some of my current favorites! Bellies to Babies is such a style saver (such a cute name too)! BelliestoB.com is the perfect place for mamas-to-be who want to dress stylish throughout pregnancy, but don’t want to shell out a ton on clothes that you aren’t going to wear for long, or clothes that you will only wear through one or two pregnancies. They have quality clothing that is a fraction of the cost that you would find in typical maternity stores. For you newly pregnant mamas out there who aren’t sure the exact styles you are looking for, BelliestoB.com offers a monthly maternity box subscription that ships straight to your door. In my opinion, the maternity options in this box are much better on the maternity front then other vendors of the same nature. Once you receive your personal box of clothing, you try everything on, keep what you like and send back what you don’t (free shipping both ways) and you just pay for items kept. Simple, easy, and you don’t have to go out to hunt for clothes! In my opinion, this is perfection when you’re pregnant and tired, and would just rather relax over going shopping. 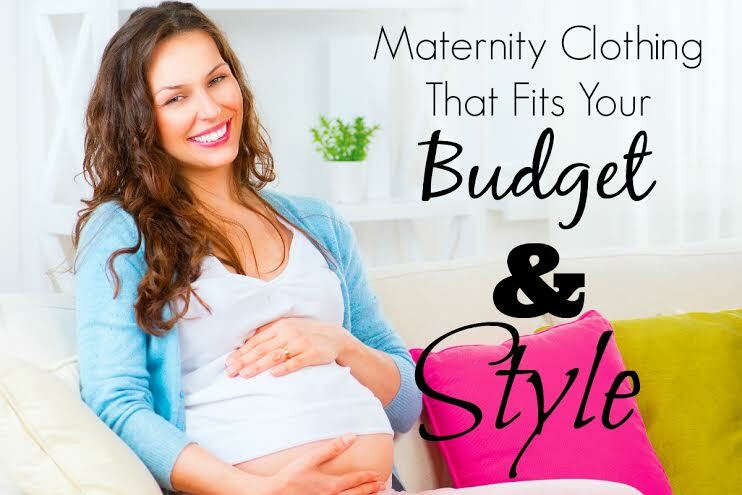 Bottom line, you can save hundreds and hundreds of dollars and the headache of searching all over for maternity clothing that fits you by visiting BelliestoB.com! Jane is another amazing place to find maternity items. They have different daily boutique deals that are always changing, and they are always a fantastic deal! I love that they offer things at such a discounted price, because who wants to pay top dollar for maternity clothing that you can’t wear for more than a year or so? Not me! How cute is this dress from their line? So inexpensive too! 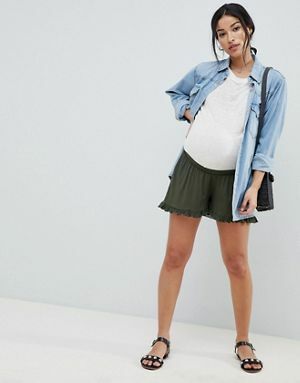 Up to 80% off Maternity Clothing at Jane.com! Shop today! What are some of your favorite places to buy maternity items? 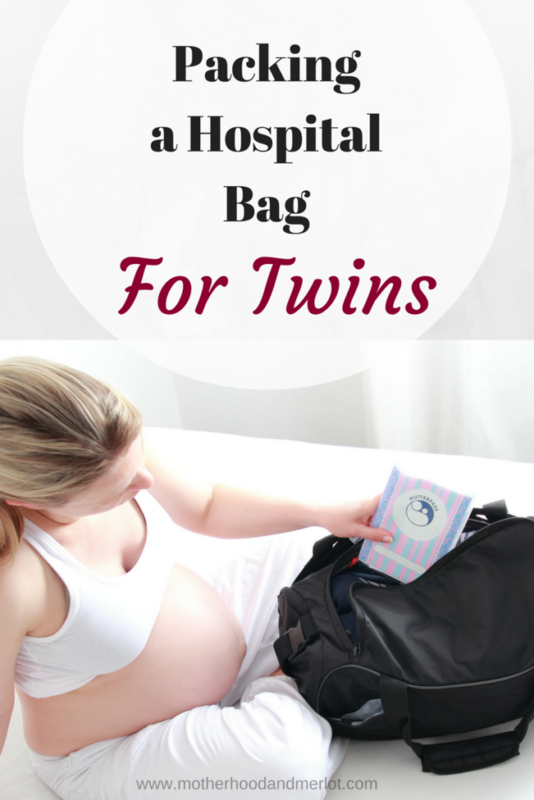 I know that I always had that one place that never failed me every time I was pregnant. Share yours in the comments below! Here are a few more posts you might love! 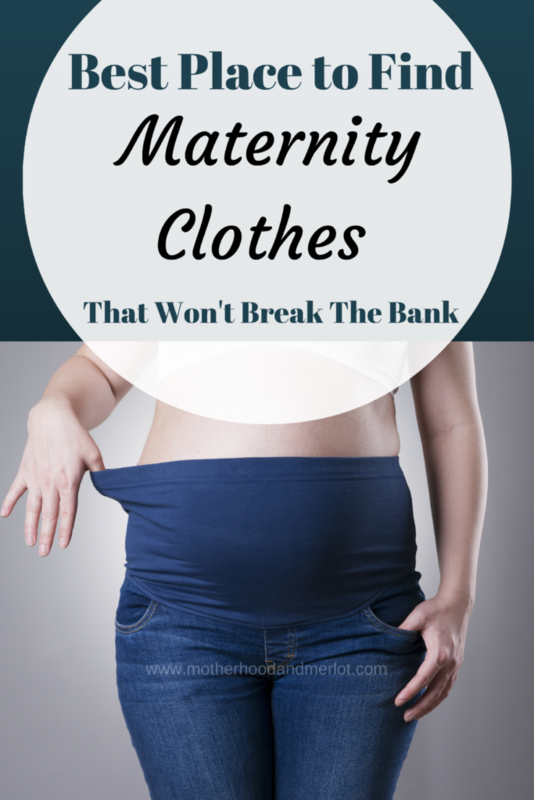 Maternity clothes were always a pain to shop for — especially because of the prices! I got away with oversized clothing during the winter, but so great to have a place like this to find cute outfits! Thanks Ana for the reply! What a cool idea.. I have 2 friends who are pregnant right now! Send them our way Lauren, we look forward to helping them find the perfect outfit! That is awesome that you can send in your old clothes for cash. A maternity subscription service is brilliant. I never felt like doing anything when I was pregnant. I’m going to pass this on to my pregnant friend. Thank you! Thanks for sharing! I think it’s a really awesome service as well. Omg what a great service! I swear everyone I know is Preggo at the moment! This would be great for well anyone pregnant! What a great idea! Next time I’m pregnant I will for sure look into their services! I think a good pair of maternity jeans. I wish they would of had this all the times I was pregnant! Passing it on to someone I know who is. Thanks for the chance to win for her! I so could have used this when I was pregnant. Being pregnant through the winter, I just wanted soft clothes. I lived in yoga pants and maternity tshirts. What a fantastic giveaway! I could have used this the first time I was pregnant For me, maternity leggings were the number one things I had to have. Bev recently posted…What is your fire? Maxi dresses and skirts are my absolute must have! They are so comfortable and light. I love them! Definitely passing this along to my friends who are mamas-to-be! Hi, Thanks for the coming to me at the right time. I am currently pregnant with my first baby. So, I was looking for some comfortable maternity clothes for me. And I am so glad I found you at the right time. I think I will found here my expected maternity clothes. Thanks for the sharing such an informative article.